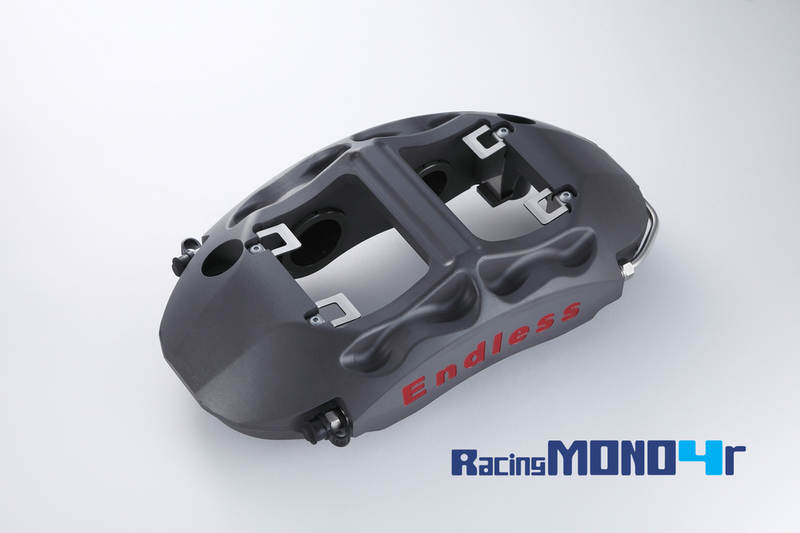 The Racing MONO 6 GT caliper has evolved purely for motorsport use from the Racing MONO 6 caliper. It has been trailed and tested in the extreme conditions of SuperGT racing. Featuring further FEA analysis over the Racing MONO 6 for even higher strength and reduced weight. It features a channel across the top of the caliper to allow for an addition cooling duct to be added. The body weighs more than the Racing MONO 6 caliper, but it has been widened to allow for 30mm thick brake pads. Available in both hard anodizing (shown) and super gloss polished. Dimensions: Length 295mm, Width 198mm, Height 78mm. Piston Size: 27mm+32mm+38mm = 2491mm² total area. Price: Please contact us for pricing. 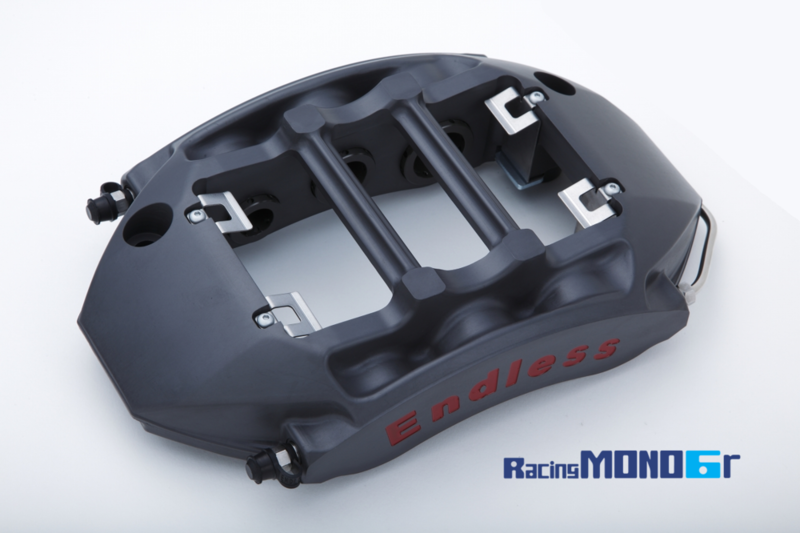 The Racing MONO 6 is the flagship caliper for the ENDLESS range. Four years of development and extreme testing has resulted in this caliper meeting the rigidity and lightweight standards of ENDLESS. The body is made with only the strongest aluminum material, forged with several thousand tonnes of pressure. This creates the highest performance achievable using the best technology and materials. The MONO6 has 25mm thick pads and will take up to a 36mm thickness rotor, making it suitable for all types of racing including endurance. Dimensions: Length 295mm, Width 177mm, Height 76mm. Suitable pad shapes: RCP121, RCP122, RCP123. Price: $6850+gst per pair of calipers, including brake pads. 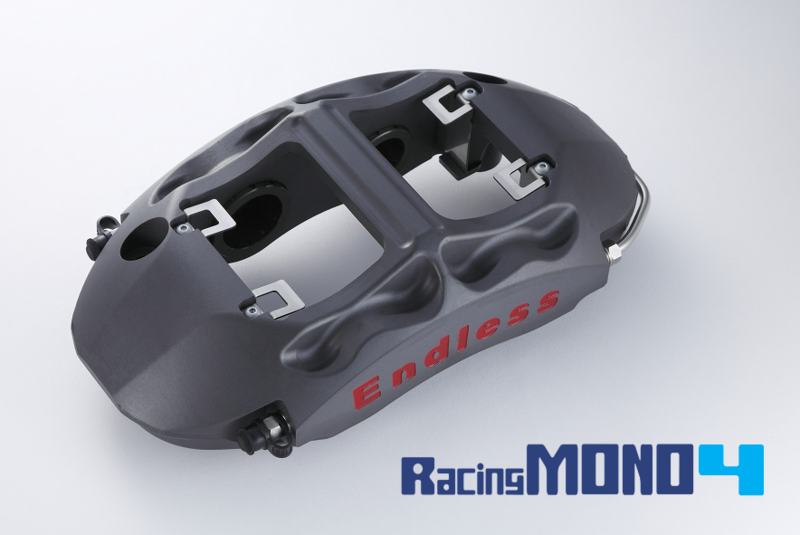 The newly released Racing MONO 4 caliper is produced with the same technology as the Racing MONO 6 and has once again achieved the highest of standards in rigidity and lightweight specifications. Manufactured with racing form factor in mind, this new MONO 4 offers more compatibility with wheel choices. The new MONO 4 is ideal for use with small or medium sized cars, such as compact sports cars, rally cars, or those who just want the best braking solution where low weight is the highest priority. The MONO 4 caliper can be used with a 300mm to 355mm rotor size, making it suitable for rally cars with both gravel and tarmac setups without having to replace calipers. Piston Size: 34mm+41mm = 2254mm² total area. Suitable pad shapes: RCP146, RCP153. Price: $4600+gst per pair of calipers, including brake pads. Rally option available with stainless steel pistons, please enquire. 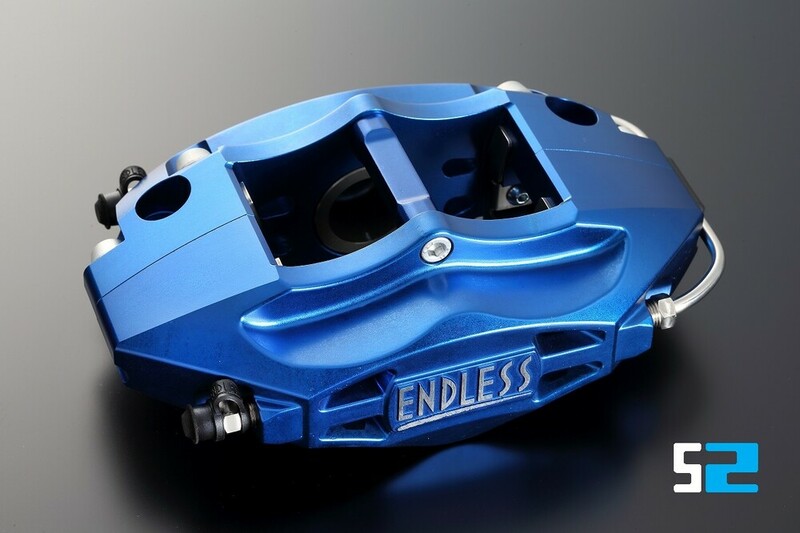 The ENDLESS 12 piston caliper is a forged 2-piece caliper with a focus on providing controllable brake performance with almost zero pad taper. This is done by using different piston sizes and 4 brake pads per caliper. 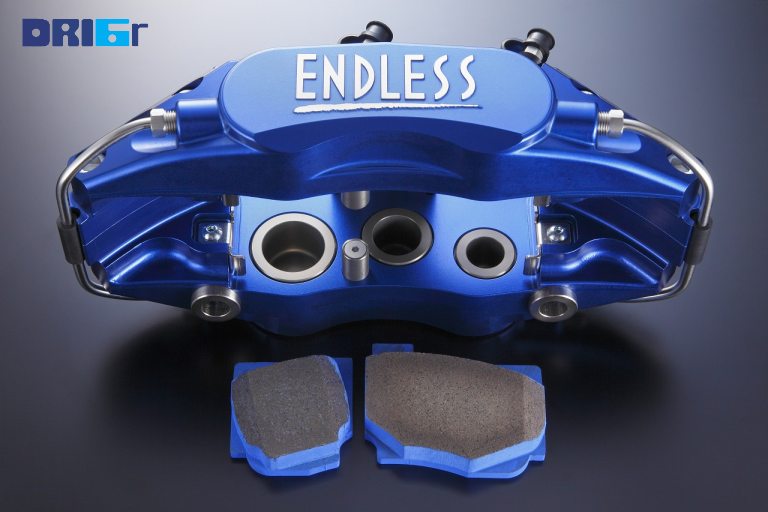 The 12 piston caliper brake systems are focused mainly on offering the best stopping power and brake performance for large, heavyweight vehicles. This is the largest bodied caliper in the ENDLESS catalogue. Dimensions: Length 336mm, Width 158mm, Height 99.6mm. Piston Size: 22mm+22mm+25mm (per pad) = 2596mm² total area. Suitable pad shapes: RCP089, RCP090. Price: $7500+gst per pair of calipers, including brake pads. 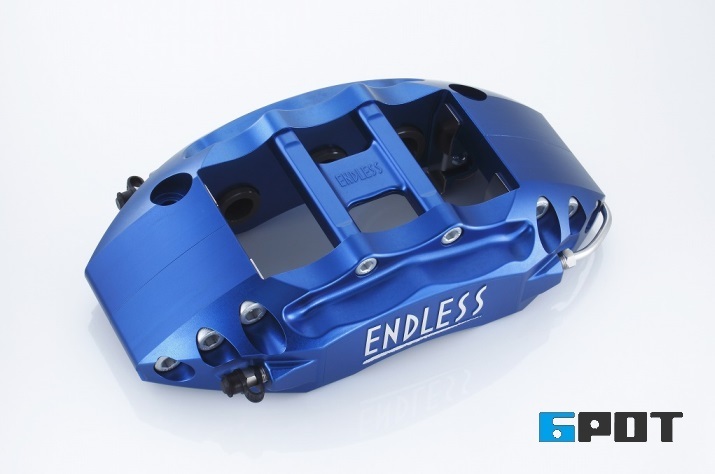 The Racing6 caliper has been tested in racing competitions and developed through feedback on the track. The forged aluminum construction increases life and heat resistance, while remaining lightweight and extremely strong. A maximum rotor diameter of 400mm can be used. This caliper is suitable for high-powered and heavy racing cars. Pad thickness of RCP080 is 20mm. Dimensions: Length 310mm, Width 168mm, Height 77.7mm. Price: $3300+gst per pair of calipers, including brake pads. 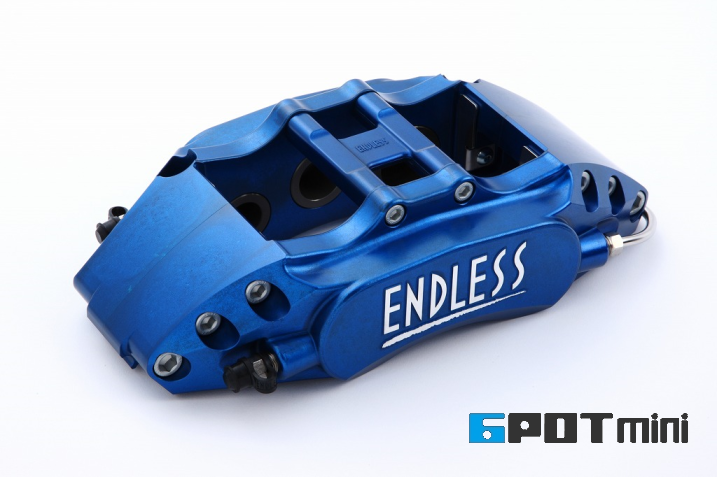 The 6POT caliper is the best value caliper within the ENDLESS lineup and can be used with a maximum rotor diameter of 370mm. The caliper is made of lightweight forged aluminum with excellent heat resistance characteristics. Piston sizes of differing diameters are staggered to ensure even pad wear maximum braking performance. The braking force of these calipers is a perfect match for high horsepower cars, for both track and road use. Dimensions: Length 288.5mm, Width 156mm, Height 79mm. Suitable pad shapes: RCP052, RCP152. Price: $2900+gst per pair of calipers, including brake pads. 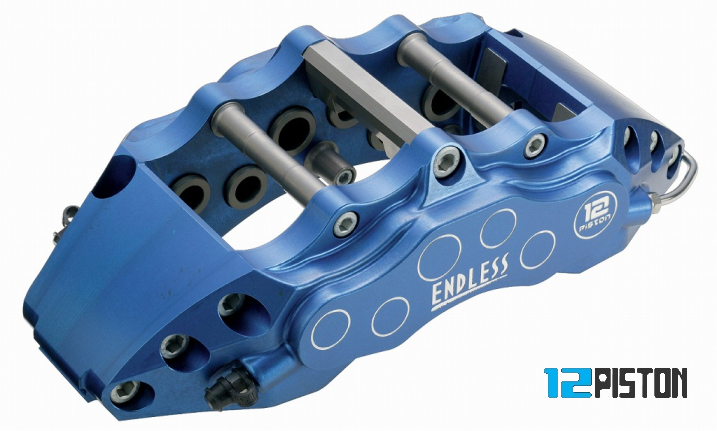 Designed with compact size in mind, you can upgrade your standard caliper to ENDLESS 6POTMini while still using OE-sized rotors. The caliper is sized small enough to work with wheels as small as 16 inches for sports cars. The caliper body is lightweight forged aluminum with excellent heat resistance and high durability. Piston diameters are staggered and differ in diameter, creating excellent controllability and even pad wear. Experience confident stopping power with direct pedal force and ease of use. Dimensions: Length 266mm, Width 141mm, Height 73.2mm. Suitable pad shapes: RCP066, RCP093, RCP151. Price: $2700+gst per pair of calipers, including brake pads. 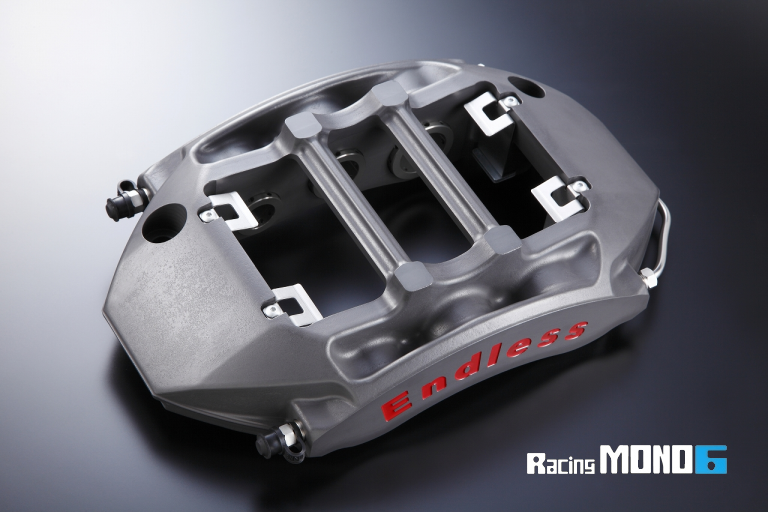 Meet the M4 caliper, the latest caliper in the ENDLESS range. Designed to be an entry level caliper packed with the highest ENDLESS standards and quality. 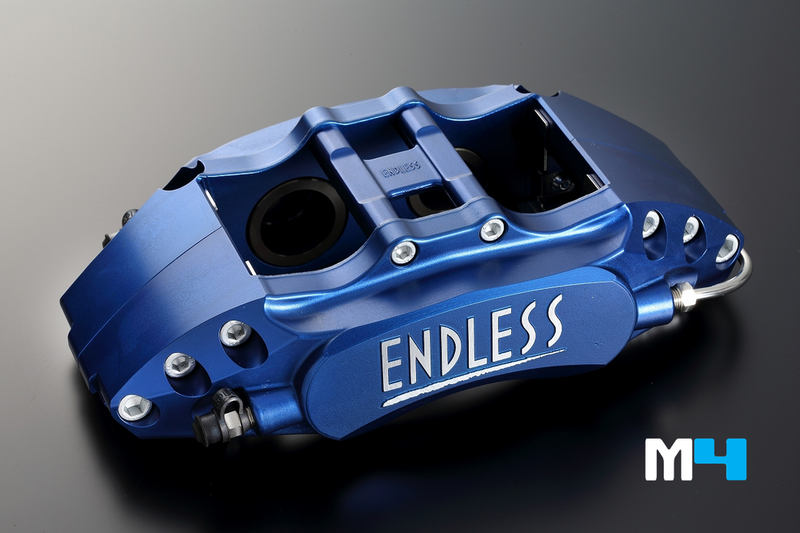 Just like all other ENDLESS calipers, the M4 is made from forged aluminium for lightweight, strength and durability. OE calipers tend to degrade when used on the track, this is where the M4 is perfect and can be used to replace your OE caliper while retaining the standard rotor sizing. 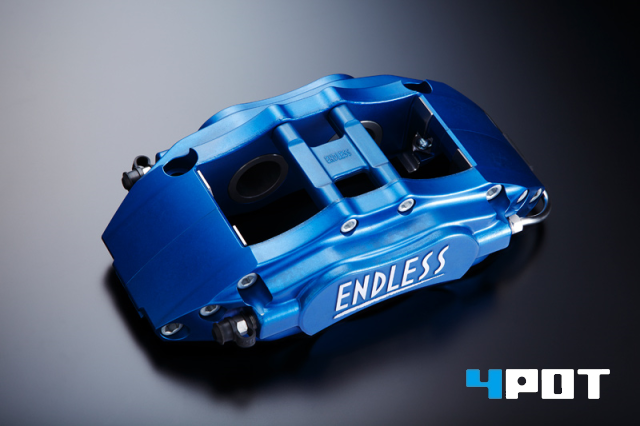 The ENDLESS 4POT caliper was designed for smaller vehicles needing large stopping power. 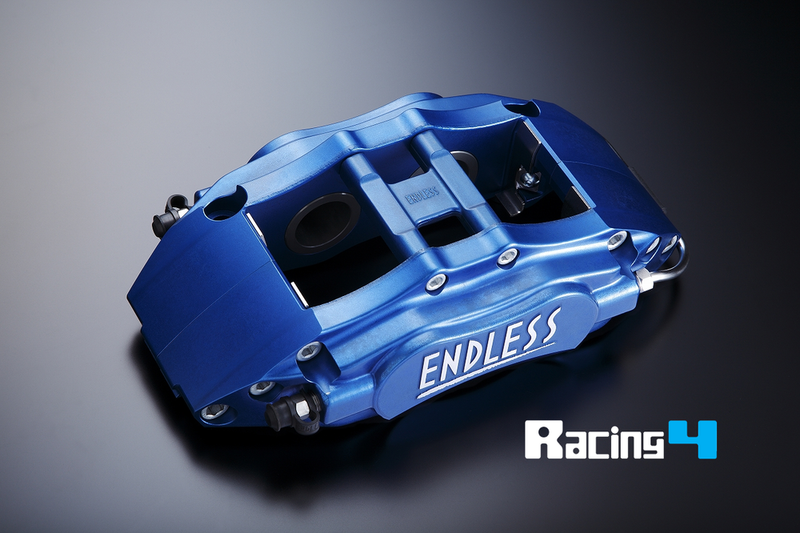 Sporting all the benefits from the other ENDLESS caliper range, this compact and lightweight caliper can be used for both circuit racing and road use. Dimensions: Length 250mm, Width 141mm, Height 73.2mm. Suitable pad shapes: RCP066, RCP151. Price: $2400+gst per pair of calipers, including brake pads. 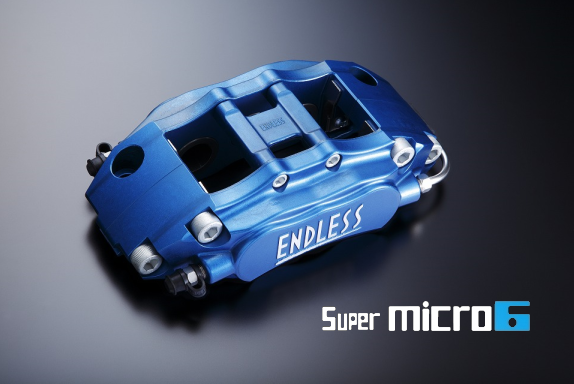 SuperMICRO6, a small caliper with great stopping power. This caliper is used for vehicles with a small diameter and thickness rotor. It is a narrow caliper, so wheel selection is made easy. A 2piece construction made from forged aluminium, to ensure high strength and reliability. Dimensions: Length 214mm, Width 117mm, Height 63.4mm. Piston Size: 27mm+27mm+32mm = 1922mm² total area. Price: $2200+gst per pair of calipers, including brake pads. Overall Dimensions: Length 295mm, Width 177mm, Height 76mm. Piston Size: 22mm+22mm+25mm = 1298mm² total area. Dimensions: Length 270mm, Width 141mm, Height 72.5mm. Piston Size: 27mm+32mm = 1354mm² total area. 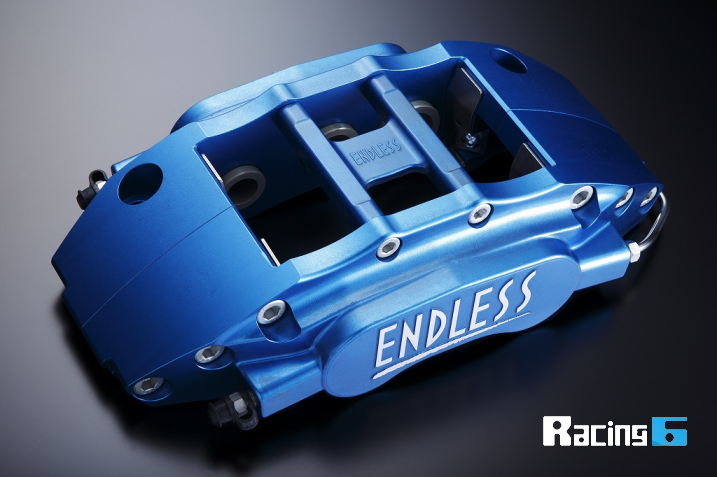 ENDLESS has developed a drift specific caliper that included both the normal brake pad and a handbrake pad for extreme competition. Any compound can be used for each pad, and they are included with the caliper purchase. This allows an ultra high grip handbrake pad to be used without upsetting the car’s balance under normal braking. There is a separate pressure system for each set of pads. This ensures there is no feedback from the hydraulic handbrake system to the foot pedal system. Four Pistons are for the normal pedal brake, and 2 pistons are for the handbrake system. This result is ultimate confidence and feedback. Weight 2680grams Recommended Rotor Size: 280-332mm. Piston Size (Foot-brake): 27mm+32mm = 1354mm² total area. Piston Size (Hand-brake): 38mm = 1137mm² total area. Suitable pad shapes: RCP159, RCP160. Price: $3700+gst per pair of calipers, including brake pads (both sets). Overall Dimensions: Length 288.5mm, Width 156mm, Height 79mm. Price: $2950+gst per pair of calipers, including brake pads. Dimensions: Length 200mm, Width 137.7mm, Height 70.8mm. Piston Size: 38mm = 1137mm² total area.